Recently I’ve been creating books using the traditional binding technique – Japanese Stab Binding. And I’ve created a series of short posts about this lovely book form. 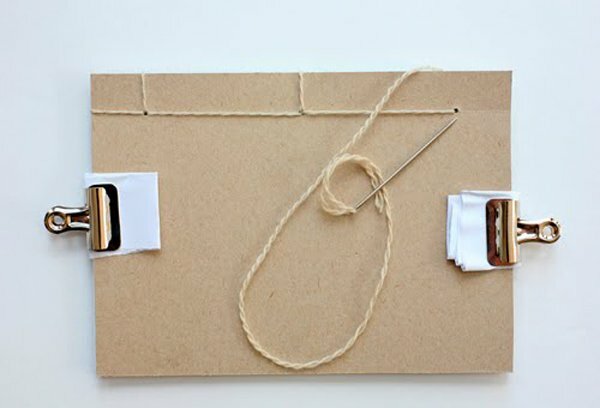 Stab binding is a traditional binding style that originated in Asia and is often called Japanese Stab Binding (JSB). 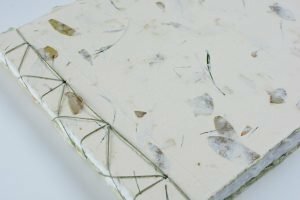 It requires few tools and is easy to learn – that’s why it’s often taught in introductory bookbinding classes and to children. The pages are single sheets of paper, ie no folding and it generally has a soft cover made from card stock or thick paper. 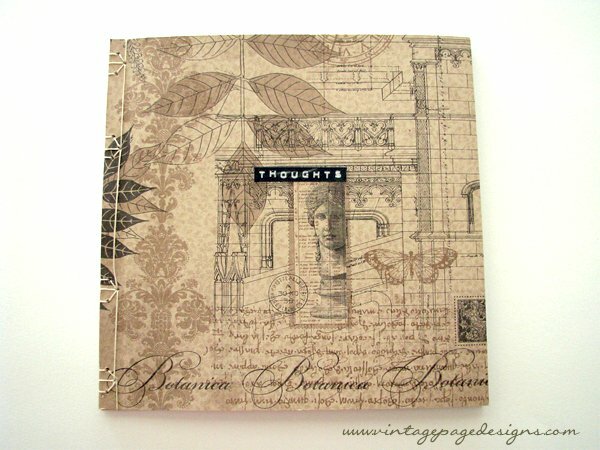 This tutorial on Design Sponge by Claire Dalgliesh has 30+ clear photos that make this book a breeze to create. The instructions in this photo tutorial by Janice Nicolay on Poppy Talk are also really easy to follow. If you prefer to watch the book being made first, check out Sea Lemon’s quick 5-minute how-to video. Once you’ve mastered the basic technique, you’re only limited by your imagination. There are hundreds of variations on the basic binding – some involving piercing dozens of holes to create intricate designs. I’ll share some examples in my next post. 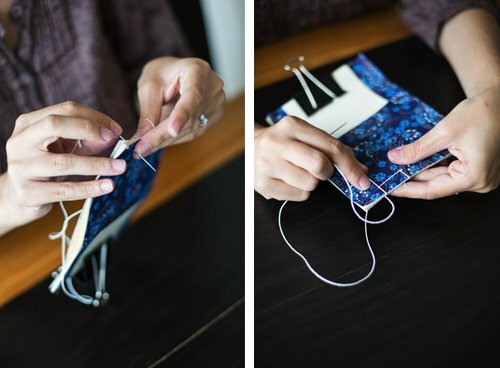 In the meantime, give this binding a try – you’ll have a lot a fun!